The Aberdeen Sertoma Club is a local service club with over 50 members, dedicated to volunteerism and service to mankind. The club was formed in 1958, and since 1971, the primary club project has been to assist the Parks, Recreation and Forestry Department in the development of Storybook Land and the Land of oz at Wylie Park. 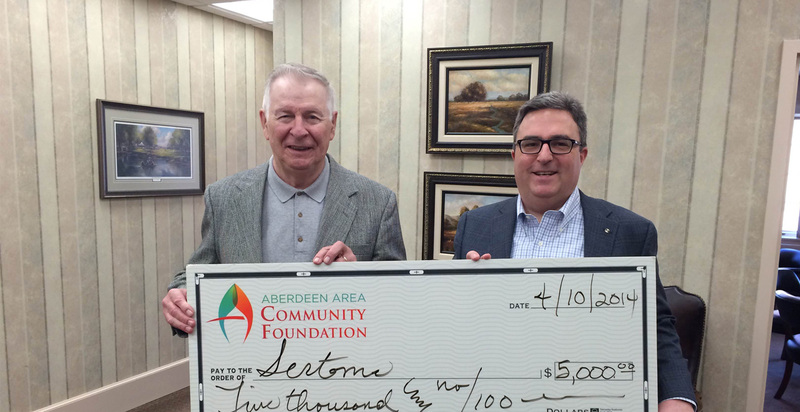 The Sertoma Club has volunteered hundreds of hours of time and raised thousands of dollars for the theme parks, which continue to remain free to the public, bringing in tourism to our town of Aberdeen each year. Due to the importance of this community landmark, AACF donated $5,000 to help fund the production of a book and video documenting the history of Storybook Land.